Dennis DeYoung is a founding member of STYX and the lead singer and songwriter on seven of the bands eight Top Ten hits. 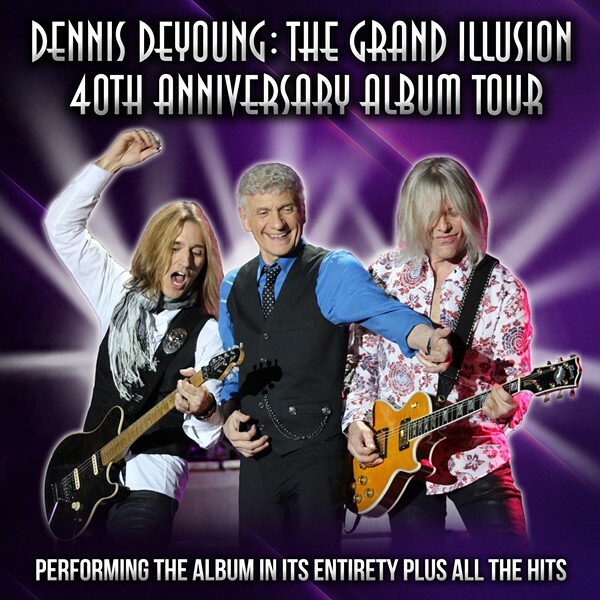 Come join this legendary rock tour as Dennis DeYoung’s “Grand Illusion 40th Anniversary Album Tour” comes to the Palace Theatre, Fri. Oct. 19th, 2018 at 8pm. Dennis DeYoung performing some of Styx's Top Ten hits like LADY, BABE, COME SAIL AWAY, TOO MUCH TIME ON MY HANDS, BLUE COLLAR MAN, SUITE MADAME BLUE and many more. Price: $38., $48., $58., $68.